I was hankering after a bit of comfort food and after playing around in the kitchen, I came up with this lamb dish. 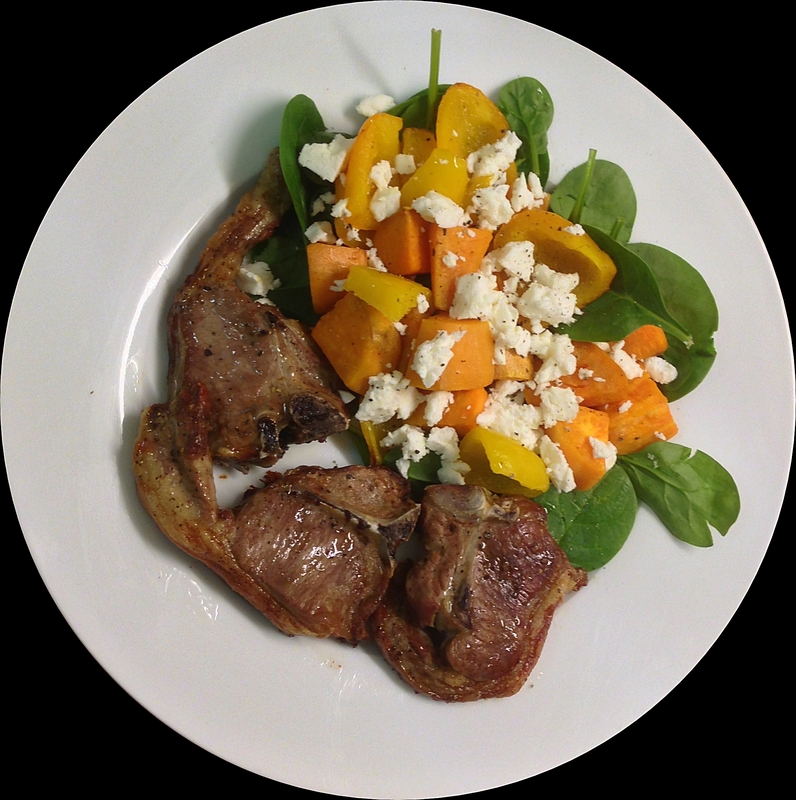 Lamb is my favourite meat and I think it tastes really good with the sweetness of the sweet potato and peppers cooked in coconut oil that contrasts with the salty feta and peppery spinach. Put the coconut oil and butter in a baking tray and in the oven to melt, when it is hot carefully add the sweet potatoes and peppers and stir to coat the vegetables. In a separate baking tray put the lamb, season and add a squeeze of lemon. Cook both baking trays for 30-40 minutes, until everything is cooked and the lamb fat is starting to crisp. Put the raw baby spinach on plates, add the vegetable mixture and crumble the feta on top and serve with the lamb and a decent grind of black pepper. If you cook it, let me know what you think!